With a flamboyance of flamingos, a murder of crows, a band of gorillas and a parliament of owls, Patricia Mullins A Crash of Rhinos is a picture book which delights the ears and the eyes. Marvel at the original illustrations and sketches currently on display at the Wanneroo Gallery Library and Cultural Centre. The energetic illustrations and and clever use of collective nouns in A Crash of Rhinos entertains and amuses readers of all ages. Patricia Mullins unique illustrative style involves collage and layering of coloured tissue paper, with pen and ink drawings, to build up the action in each of her scenes. The exhibition at Wanneroo Gallery marks the first time the complete collection from the book is displayed outside of the State Library of Western Australia. Acquired in 2011 for the State Library’s collection, it includes original illustrations, preliminary sketches, story boards, and working notes, which provide a unique insight into Patricia Mullins creative process. One of Patricia Mullins motivations for writing and illustrating is to share her love of language through her stories. Patricia Mullins has authored and illustrated a number of picture books including Hattie and Fox (1986), Crocodile Beat (1988), Dinosaur Encore (1992) and Lightening Jack (2012). A Crash of Rhinos published by ABC Books by was awarded the Notable Book (Picture Book of the Year) in the Children’s Book Council of Australia Awards, 2011. Visitors to the exhibition are invited to take part in a series of free activities and art workshops. From DaVinci, to Beethoven, to Hemingway, to Kahlo, sketchbooks have provided a space for the greatest works and stories of our time to grow. 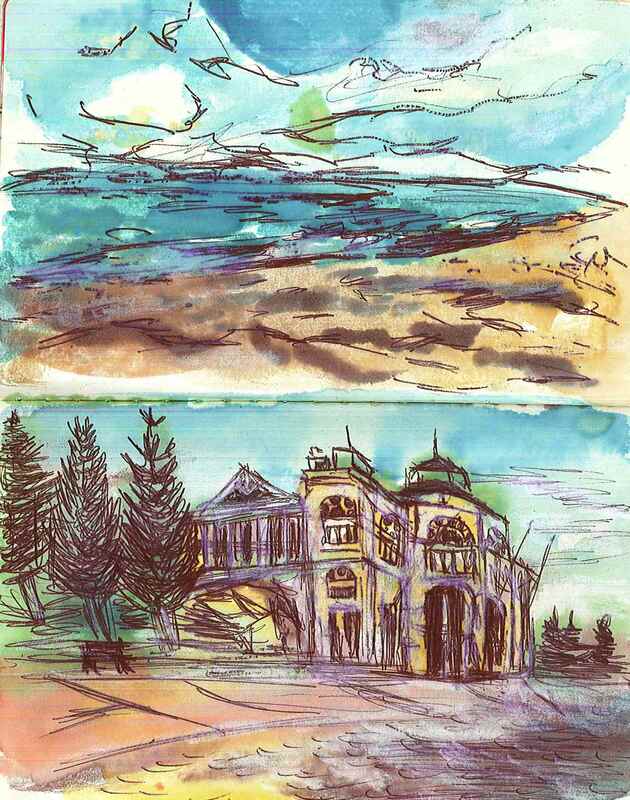 Over 100 sketchbooks displaying the talent of young Western Australians have recently embarked on a tour of 16 WA Public Libraries as part of the Travelling Sketchbook exhibition. Each year young people aged 12-26 are invited to participate in filling a blank sketchbook with stories, artwork, illustration, collage and more as part of Propel Youth Arts WA’s Sketchbook project. Some are lighthearted and funny, others are deeply personal and all showcase creativity and talent of contributors. Designed to be browsed and flicked through, the 9 x 14 cm sketchbooks together represent a visual exploration of the personal lives, interests, and observations of young people growing up in Western Australia in 2016. 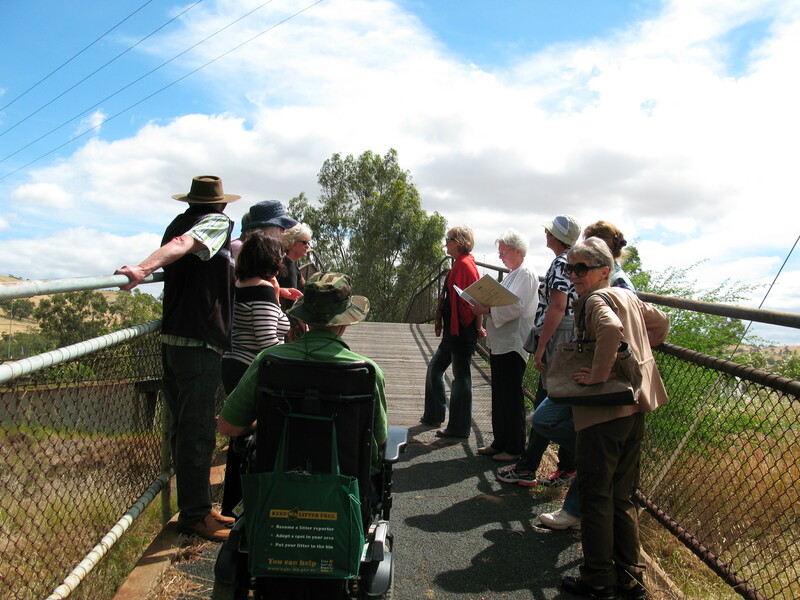 Follow the sketchbook journey around Western Australia as they visit a Public Library near you. This exhibition is presented by Propel Youth Arts WA with the support of the State Library and Department of Local Government and Communities. In 2014 our Memory House exhibition celebrated the sights, smells, tastes, sounds and textures of Western Australia. To encourage representation of the entire state, we invited selected regional public libraries to host a Memory House letterbox giving their communities an opportunity to share memories of their area on postcards. 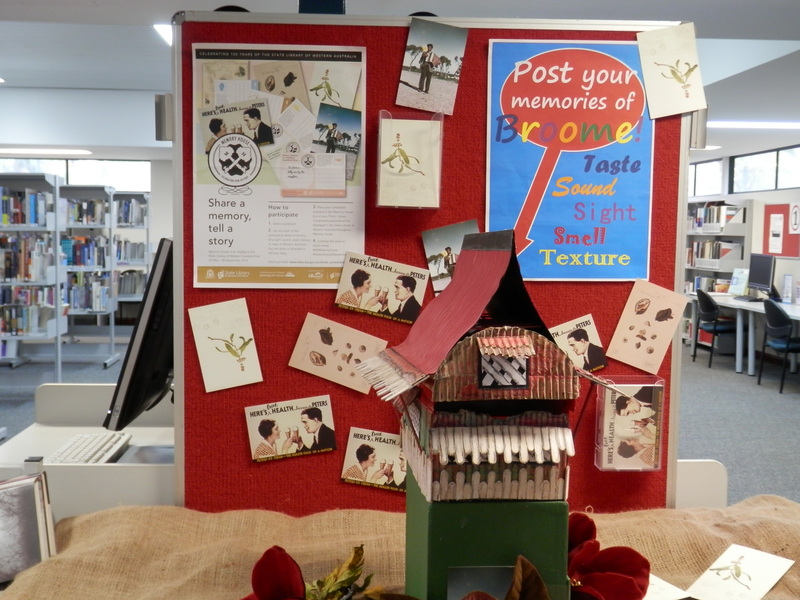 The Libraries set up displays around the letterboxes and held events to facilitate memory sharing and discussion. Libraries decorated their letterboxes in a style that reflected their region. There were some outstanding responses from the regions. We thank the following participating libraries and community members for their contributions: South Hedland, Exmouth, Narrogin, Merredin, Broome, Karratha, Dampier, Wickham, Roebourne, Geraldton, Laverton, Toodyay, Busselton and Albany. Pearl Ashwin (Baumgarten) attended a seniors morning tea at South Hedland Library as part of Memory House. There she was delighted to find an image of herself as a young nurse. Pearl’s photo was featured on a postcard promoting Storylines, an online archive relating to Aboriginal history in Western Australia. Pearl Ashwin was one of the first Aboriginal women in Meekatharra to become a registered nurse. In the postcard she is pictured working at Meekatharra hospital. 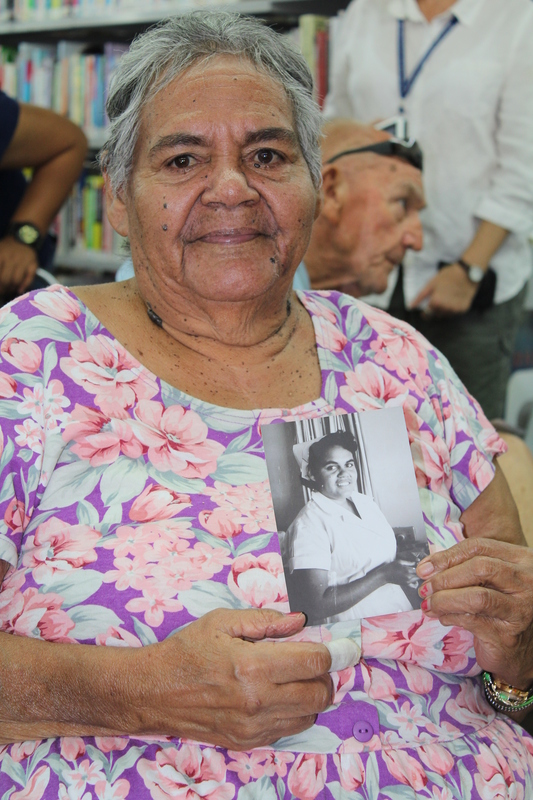 South Hedland Library staff were able to capture this photo of Pearl with her postcard. Toodyay Library hosted ‘Internment to Enlightenment’, a historical walk and guest speaker presentation by Beth Frayne from the Toodyay Historical Society. The talk began at the Old Gaol Museum and ended at the Toodyay Library, where participants shared Toodyay memories. Among postcard contributions were unique Toodyay smells including, “Coal being shovelled into the boiler of the Toodyay steam train” and sounds such as “Kookaburra’s laughing” and “Bees humming in a jacaranda tree”. 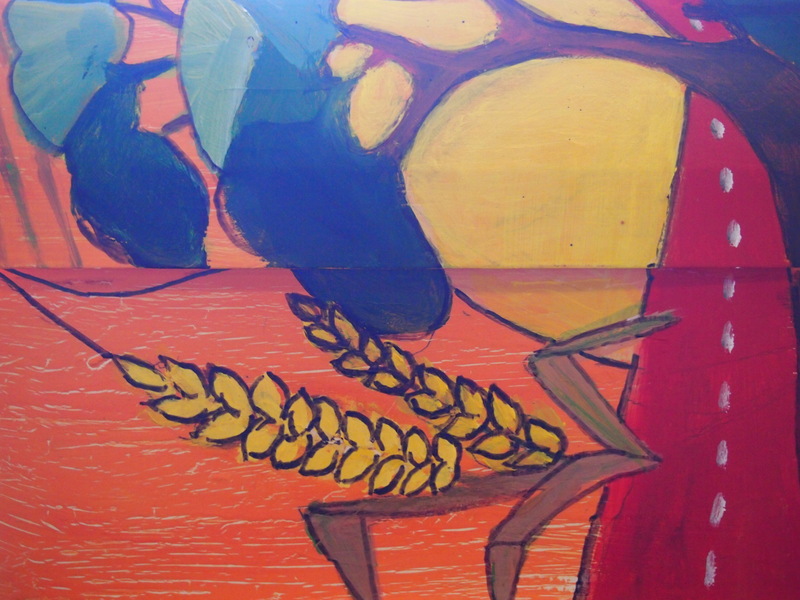 Merredin’s Local Fine Art Society produced this beautifully painted letter box displaying the vivid colours of the wheatbelt region. Narrogin Library hosted an exhibition, ‘seniors through the eyes of youth’ at Narrogin ARtSpace. Seniors were paired with young people, and they were encouraged to share their stories. The activity culminated with a photographic exhibition during Seniors Week. The Memory House regional engagement project was made possible through the generous support of the State Library of Western Australia Foundation and Lotterywest. For centuries sketchbooks, notebooks and diaries have recorded daily life, observations from great explorer expeditions, personal accounts, and intricate details of past lives and times. Call to mind the journal of Christopher Columbus’ voyage to the Americas, or Da Vinci’s curious inquiry into human anatomy in his 16th century sketchbooks. They are forms of storytelling and communication grounded in time and place, and shaped by the personalities and identities of their makers. 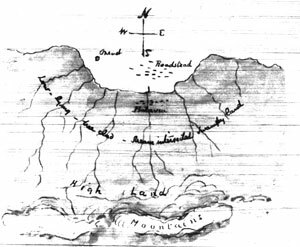 The State Library holds the notebooks of Edward T Hardman including an 1871 sketchbook which records his geological survey of the Kimberley region in pictures and words. A vellum bound book of poems written by Irish convict John B O’Reilly,1868 demonstrates his creative pursuit and passion as a poet, while Revel Cooper’s History Book speaks of his education as a 13 year old Aboriginal boy during Australia’s assimilation era. These records provide a rare insight into the culture and concerns of past Western Australia. What would the diary or sketchbook of a young person living in the 21st century look like? 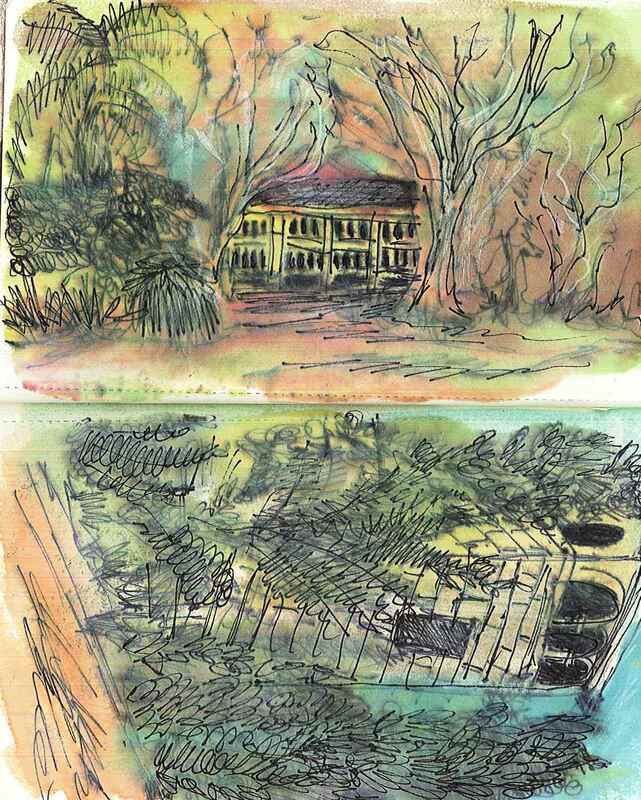 Thoughts, musing, observations and vignettes of daily life are revealed in a collection of over fifty sketchbooks produced by young Western Australians. 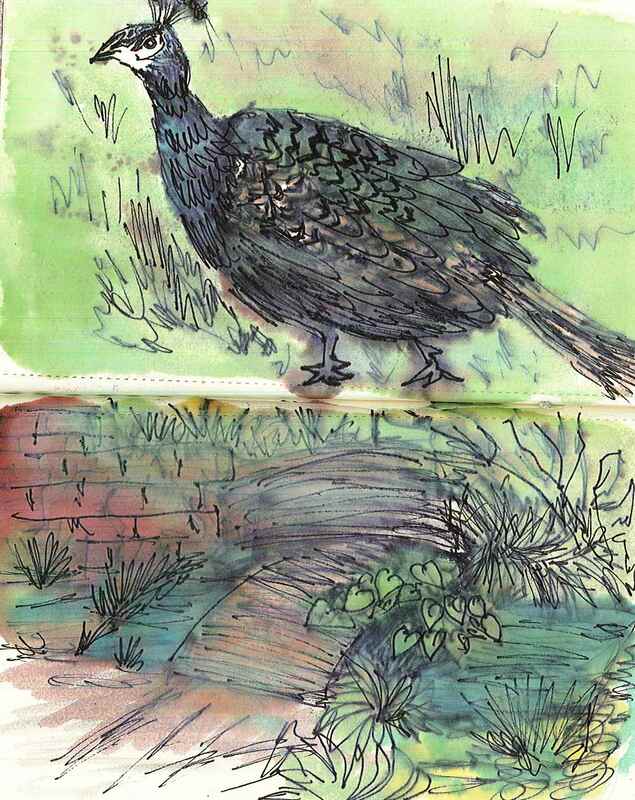 The sketchbooks feature illustration, photographs, poetry and collage, and were created through Propel Youth Arts WA’s Sketchbook Project, part of the KickstART youth festival. 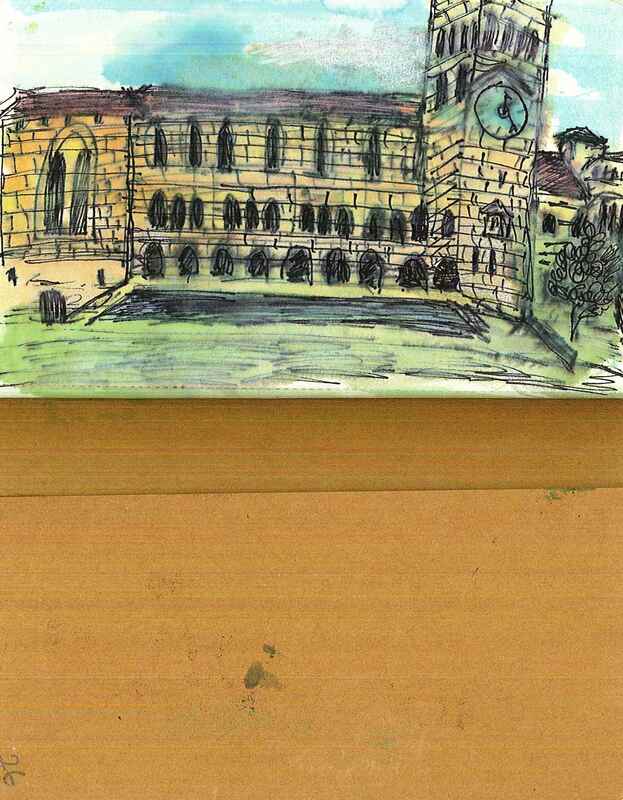 Following an eight month tour throughout WA public libraries from Port Hedland to Manjimup, the sketchbooks have returned to Perth and are on display at the State Library. 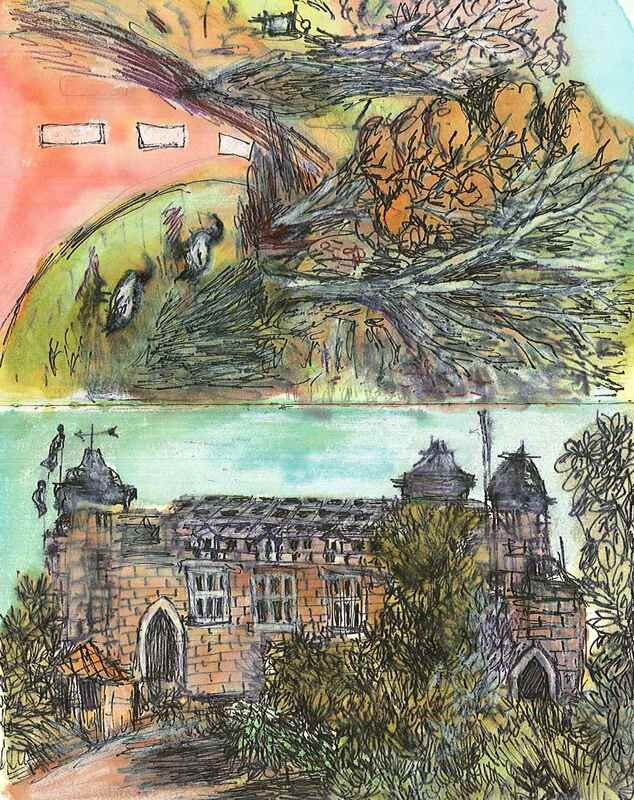 One sketchbook by 24 year old artist Amanda Fernandez has caught the eye of our staff with its aesthetic beauty and descriptive watercolour sketches. How many scenes are familiar to you? 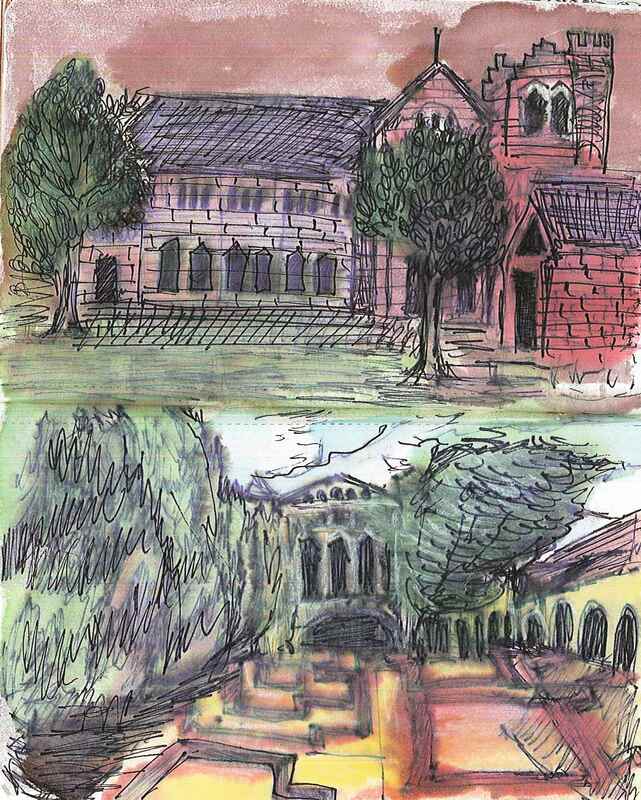 View Amanda’s sketchbook and many more on display in the Discovery Lounge Ground Floor until 30 January 2015. Open during library hours. 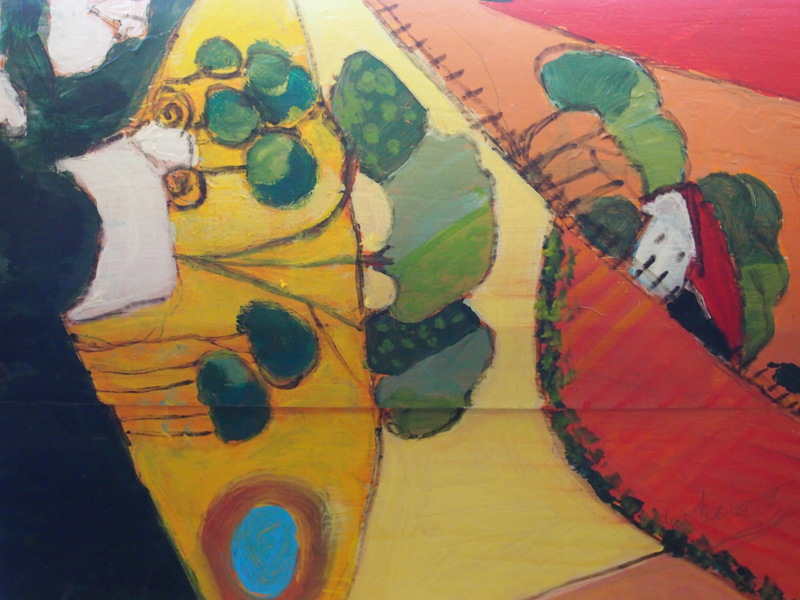 Registrations are now open for The Sketchbook Project 2015. Young people aged 12-26 are invited to participate. Visit Propel Youth Arts WA to find out how to get involved. Whether you’re a complete beginner or an experienced family history researcher, now is your chance to gain new insights and skills to help you learn more about your ancestors. To celebrate National Family History Month (August), the State Library of Western Australia has put together a special program of free workshops, tours and talks from Tuesday 6 to Thursday 8 August 2013. Are you just starting out on your family tree and need some help with your research? 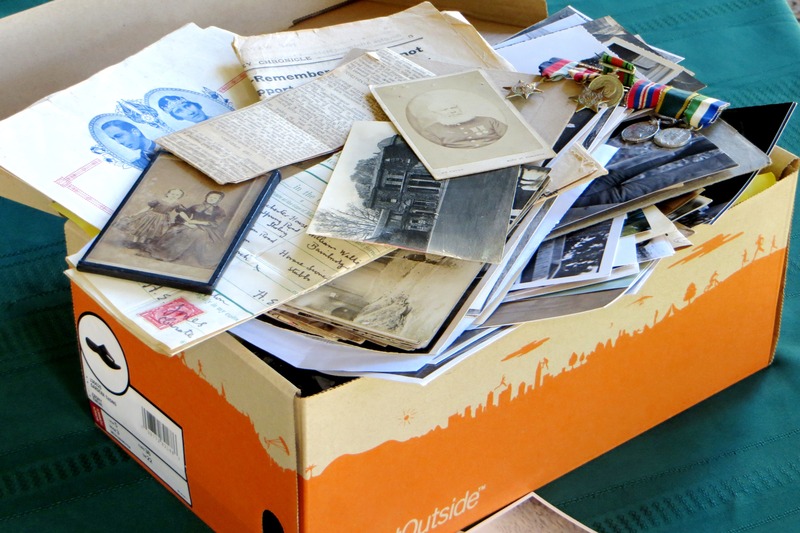 Do you have a shoebox full of photos and letters that you need to sort? Want to learn how you can use apps to enhance your research and save time? Experienced guides and experts will be on hand to help you make the most of the wealth of resources available. Does this look familiar? Learn pointers on how you can start organising your family records and photographs at our special “shoebox” session. You can also gain deeper insights by attending some of the many fascinating talks and topical sessions on offer. With subjects ranging from British migration, bride ships, Samson House and ANZAC records to collecting in a regional centre, these sessions will appeal to advanced researchers and professionals as well as those with a general interest. Thousands of young women were brought out to WA in the late 1800s in order to address the imbalance of the sexes in the population. 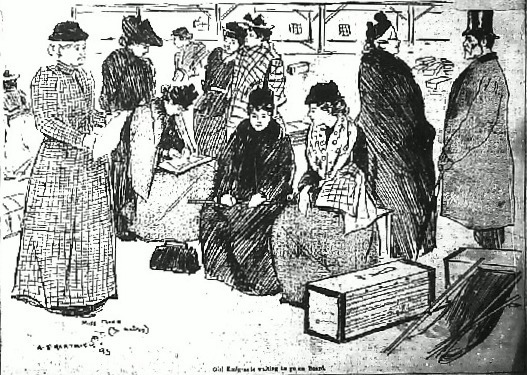 What was it like to be a woman on board a “bride ship”? Find out from Tricia Fairweather on Thursday 8 August. We encourage you to check out our full events program and pass it on to colleagues, clients, family and friends. All sessions are free, but bookings are essential. Call 08 9 427 3111 to secure your place for the sessions of your choice. The State Library wishes to thank staff of the State Records Office and the National Archives of Australia, and the volunteers from the Western Australian Genealogical Society (Inc.) for their generous support. This year, celebrations for National Family History week have been extended to the whole month of August. With chilly temperatures keeping most of us inside this month, it’s the perfect time of year to bunker down in your library and discover new connections to the past. Eligible scholarship applicants include Librarians, Library Technicians and other professionals working within the public library network in Western Australia. Employed in the public library network in Western Australia and wish to take your librarianship skills to another level? Are you passionate about sharing your knowledge with people in the library sector in WA? A scholarship travel grant of up to $8,000 is available for a Library practitioner wishing to extend their knowledge and research Library practice overseas! The Kay Poustie OAM Scholarship is an initiative of the State Library of WA Foundation. We’re looking for feedback on our WAPLDMC (Western Australia Public Libraries Digital Media Collection) ebooks service. We’d love you to help by completing our 5 minute survey – please click the survey button on the WAPLDMC home page. If you haven’t already checked out this collection please take a look at the service, check out an ebook or audio book, then come back and complete the survey! If you are accessing WAPLDMC via an app on a tablet or smart phone, use this link to go directly to the survey. Have you always wanted to know more about the Australian Joint Copying Project (AJCP) collection? applications for free passage, permission to marry, land grants etc. The AJCP microfilm collection, available at the State Library, is packed full of interesting information useful for family history and historical research. The original material is held in libraries and archives in the UK so is not easily accessible. The Family History Subject Specialists from the State Library will be giving a talk on this fantastic resource at Vincent Library and Local History Centre at 2.00pm on Thursday 25 October. Please phone the City of Vincent Library on (08) 9273 6090 for bookings or more details.